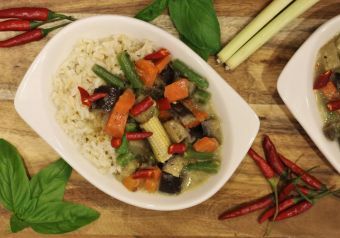 Our kit costs £1.50 and serves 4, and you can check out the vegetable Thai red curry recipe by clicking here, and the chicken Thai red curry recipe by clicking here. All the spices you need premeasured to pour into your curry when required. These include 3 spice stages for making your Thai red curry paste, including dried chillies, kaffir lime leaves, coriander seeds, and cumin seeds. 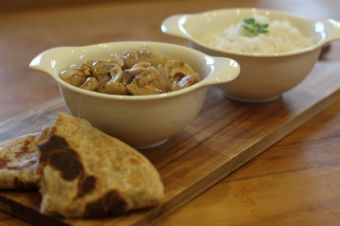 It will also include a recipe card, telling you exactly how to make this dish. 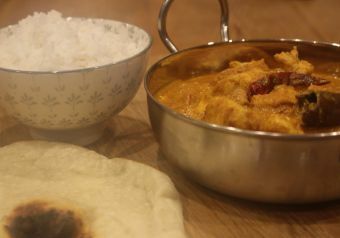 The following list is for the vegetable curry. 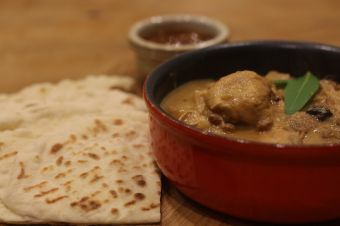 The chicken curry will vary slightly and can be seen from the link above.